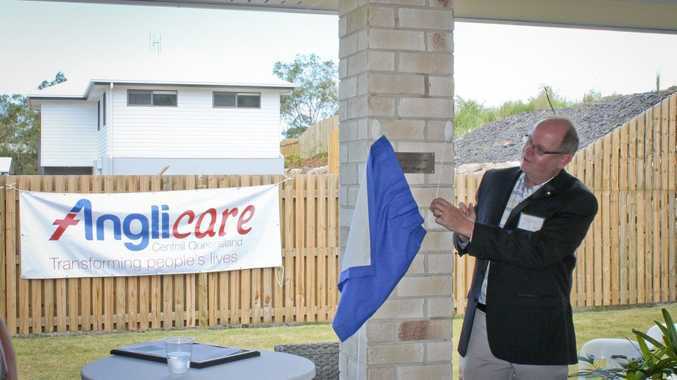 ANGLICARE central Queensland officially opened its first foundation house in Gladstone on Monday. The house is the first of three homes built with funding from the Gladstone Foundation and the three LNG companies, adding up to a $2.4 million grant. Anglicare CEO Suzie Christensen said the house would provide residential placement and 24/7 care for local children and youth from disadvantaged backgrounds. "It will give young people a safe and supportive place to live in their own community, and a chance to grow into strong, healthy adults," she said. And there is no time frame for the length of stay. Depending on the child's situation, the house is available until they reach 18 years of age, when they will be transferred to adult housing projects. Gladstone Foundation chairman Tim Griffin said the opening was a great result. "I stood here in May 2014 with a shovel and then to turn up here today, in a finished product, is amazing," he said. "We delivered this first house under budget and on time, which is a massive accomplishment." Anglicare central Queensland region manager Kathy Horton said that the organisation was proud of the fact that the infrastructure was completed by local builders. "The work on this significant infrastructure project is being carried out by local builders Coastal Homes, Designer Homes and CCF Homes," she said. 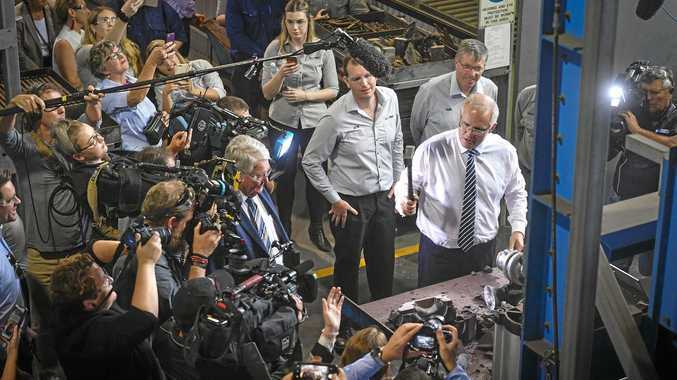 "We've sent out a very strong message that we're supporting local jobs and industry." Everyone who attended the ceremony received a memento engraved stone, with Mr Griffin adding that a good foundation was built out of stone. "It's far better to give than receive," he said. "The real winners are the youth, to be able to enjoy the space we've created here, and optimistically talk about their futures." The second home, Harbour House, will be finished soon and the third, Curtis House, is expected to be completed by Easter, with residents moving in the second half of the year.